Home » Email vendor Selection Articles » Industry expertise: Does your ESP need to be up in your industry? Industry expertise: Does your ESP need to be up in your industry? As an email marketer, you are trying to make the most of the possibilities of your existing Email Marketing software, regardless if you’re a newbie or a seasoned pro. To do this it is inevitably important that you know your ESP’s capabilities, but is it important that your ESP knows you? Is industry expertise necessary? Let’s think in broad terms first. The bigger your company, the more complex it is likely to be. With more complexity come higher demands for company software solutions. If you are a marketer tasked with finding a SaaS solution for the company’s email marketing program, chances are that ‘typical’ enterprise solutions like Salesforce Marketing Cloud will be on your list to evaluate. But for a moment let us think further than the search results for “Enterprise email marketing solutions”. Is the ESP market really that cut and dried? ESPs of course can cater to a certain subset of companies as their primary focus, but they would be negligent in gearing their solutions exclusively to these target groups’ needs. Instead they offer a range of features and functionalities that appeal to a broad market. Depending on the email marketing plans and goals of your company you will require different features and functionalities within your ESP. In our market analysis at Publicare, we analyzed 109,239 marketing email campaigns sent by 4,166 ecommerce companies over a period of 3 months to create an in-depth analysis of the U.S. ecommerce market. The companies we looked at range in both size and industries and we were able to tell which ESP they are using. The data revealed that an industry specific division amongst the ESPs used does not hold up to the reality of things. We see that MailChimp dominates the market, followed by Salesforce Marketing Cloud and Bronto Software. 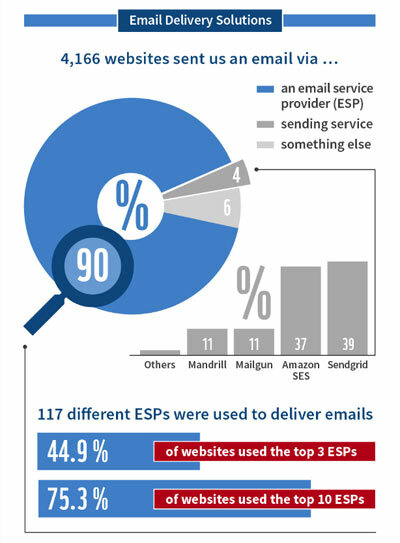 The telling part of the results is that even for the largest companies analyzed, MailChimp which is not considered an enterprise email marketing solution, holds over 5% of the market! So since the customers define the market and not the ESP, what effect – if any – does it then have if an ESP tailors their solution to a specific target industry? There are undoubtedly industries and sub-industries that have unique requirements that might not be reflected in a solution such as MailChimp. But if you look at the market in its entirety broad application is really what matters most. In my opinion, it is the basics that matter! In the end, it makes no difference if you are a mom and pop shop selling cupcakes directly to consumers or if you are a multi-national B2C company trying to keep your customers updated on your technology via email. In both cases you are catering to groups that rely heavily on their mobile devices and if your emails are not displayed in a mobile-friendly way you will end up losing business. 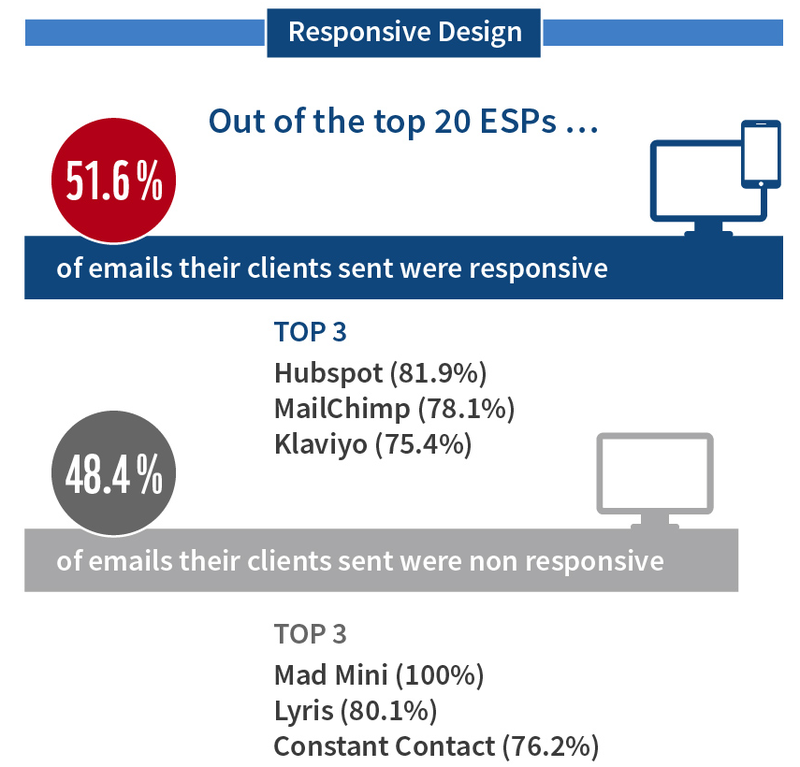 Out of the 109,239 email campaigns we analyzed, only 51.6% were sent with a responsive design. So more important than knowledge about your industry is that an ESP provides easy-to-use technology that allows email marketers to not have to worry about mobile-friendly delivery. And speaking of delivery… we found that out of the 20 top ESPs for the U.S. ecommerce market 11 lack a DKIM complete implementation. With such basic settings not in place, you can know your target industry in and out, but it won’t do you any good if you cannot get your customers’ emails delivered! In addition, good support and service is always an advantage. There is a chance your ESP of choice might not have an integration set up with your CMS. Therefore you need a knowledgeable support team to help you get it set up and assist with in-platform issues and questions. In my opinion, this is far more valuable than any industry knowledge. 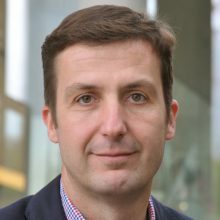 Robert Harnischmacher is the Owner and Managing Director of Publicare with offices in Frankfurt, Germany, and Fairport, NY, USA. The copywriter, journalist and philosophy graduate believes good marketing communications is about the best-possible combination of creativity and expertise. Robert has built an effective and flexible team that puts this theory into practice - each and every day, for the benefit of Publicare’s clients.